A 29-year-old man killed in a confrontation with Omaha police officers early Sunday near 30th and Pratt Streets was on a 48-hour furlough from the Community Corrections Center of Lincoln. 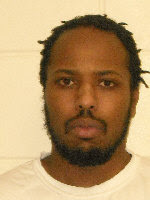 Jermaine Lucas of Omaha began serving five to eight years in the Nebraska Department of Corrections on Dec. 7, 2010, for being a felon in possession of a gun. Robert Houston, the director of the Nebraska Department of Corrections, said Lucas started his 11th furlough on Friday. Houston said it's a rare occurrence for an inmate to run into trouble with the law while on an unsupervised release. Lucas was no stranger to police and had a long arrest record. Police have said in the past that they believed him to be a member of the 29th Street Bloods gang. In 2006, Lucas and another suspected 29th Street Bloods member, Jimmy Levering, were charged in connection with the fatal shooting of Kenny Miller, 24, outside a convenience store at 24th Street and Redick Avenue. Levering was charged as the shooter, and Lucas was accused of driving Levering from the scene. Prosecutors said charges against both men were dropped after witnesses, fearing retaliation, refused to testify. In 2010, Levering was sentenced to 30 months in federal prison for being a felon in possession of ammunition after police found him with two .45-caliber bullets during a Jan. 29 traffic stop. He died in May 2011 after being shot in the head outside the Club Seville at 30th and Pratt Streets. JUSTICE doesn't always happen as we expect, or by ordinary legal means, but it usually occurs. One way or another. On earth or in the great beyond.